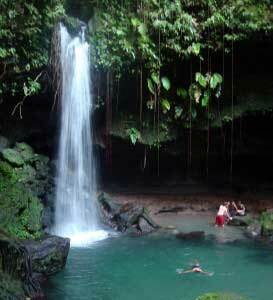 One of the most popular nature sites in Dominica, the Emerald Pool is located in an attractive area of lush rainforest. 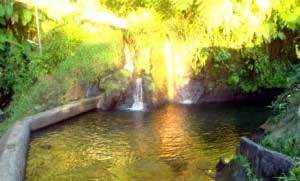 Its river and small waterfall provide excellent bathing after trekking on a well-defined trail which meanders through species of ferns, lizards and sub canopy trees. The Carib Indian Village is home to some of the few remaining indigenous Carib Indians in the world. Now numbering about 3,400, these handsome, high-cheeked and slender eyed inhabitants occupy an area of 3,782 acres that form the Carib Territory. 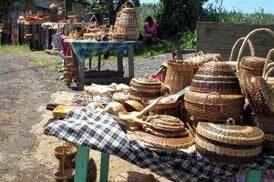 Visitors can purchase handcrafted Carib souvenirs from shops constructed in the traditional thatching style. At ‘Ti Tou Gorge’ (‘little throat hole) -one of the wonders of Dominica – swimming up the throat of a mountain to a waterfall located inside the gorges offers a truly breathtaking experience. The intricate wall formation, formed thousands of years ago is a true marvel of nature. 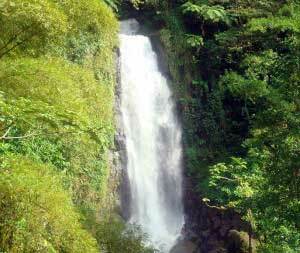 Trafalgar Falls – the most popular waterfalls in Dominica – are about five miles from the capital, Roseau. An easy ten-minute walk takes you through a secondary forest on to a viewing platform overlooking the twin falls known as “mother” and “father” because of their size. 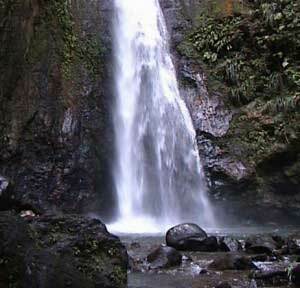 Visitors can swim under the supervision of a guide at the base of the “mother” falls. Going up the Indian River in a rowing boat is a favorite tour for locals and visitors alike. It is located in the second town, Portsmouth and about an hour’s drive from the capital. The river ranges in depth from 4.5 inches to ten feet and from a width of 143 feet narrows to only 14 feet just upstream of a wooden jetty beside the bar. The banks of the river are lined with mangroves and dotted with holes made by the small spotted black crabs with red legs and whitish pincers known locally as “red legs” It is also a favorite haunt of great blue heron, common egret, cattle egret and ringed kingfisher. Wintering ospreys looking for fish also visit the river estuary between November and April. Another of Dominica’s breathtaking waterfalls, Milton Falls offers the visitor the chance to bathe in one of the most spectacular pools in the midst of our pristine rainforest. 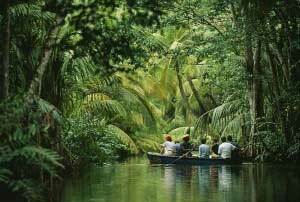 It is relatively close to the Syndicate Rainforest which is the haunt for the rare and endangered Sisserou Parrot and the red-necked Jacquot parrot.